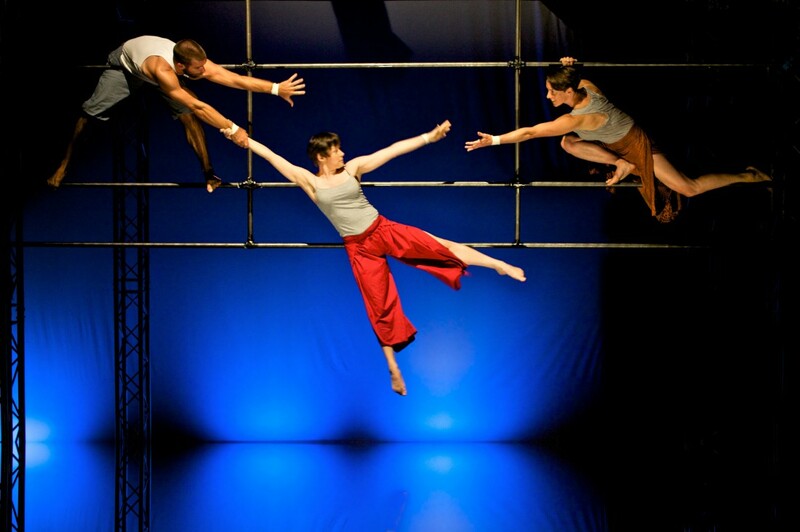 Following the Lancaster sell-out success of The Mill in 2010, the fantastic Ockham's Razor return with their second full-length performance, using aerial movement to create atmospheric, exciting physical theatre. Taking its title from Henry David Thoreau’s quote, "Not until we are lost do we begin to find ourselves,” this stunning new show is an immersive performance where the audience are on-stage and the narrative and images unfold around them. The show uses moving sculpture and originally designed aerial structures to create environments that transform around the audience. At times the audience surrounds the performance, at times the action revolves around them. Not Until We Are Lost has an original score from composer Graham Fitkin (see their concert on 22nd November 2012) and features a 20-strong local community choir. Not Until We Are Lost is co-commisioned by artsdepot, Dance City, Live at LICA and La Breche. Aerial artistry with ingenuity and theatrical flair. The final performance has now sold out. If you'd like to be added to a wait list please contact the box office 01524 594151.